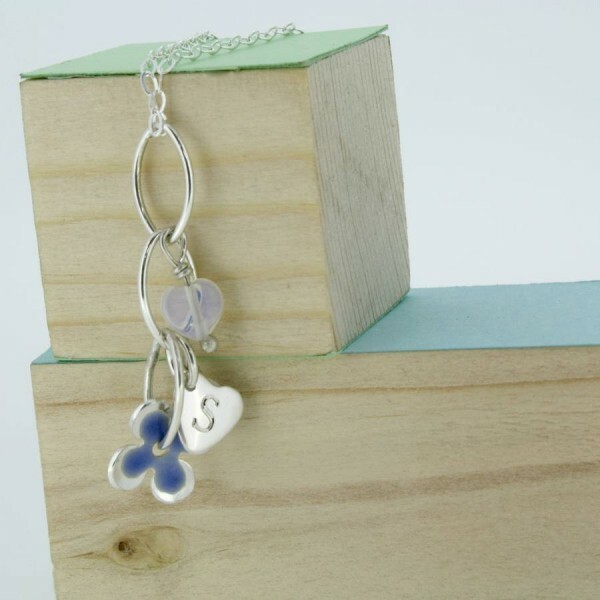 A beautiful sterling silver pendant with an enamelled flower and monogrammed silver heart. 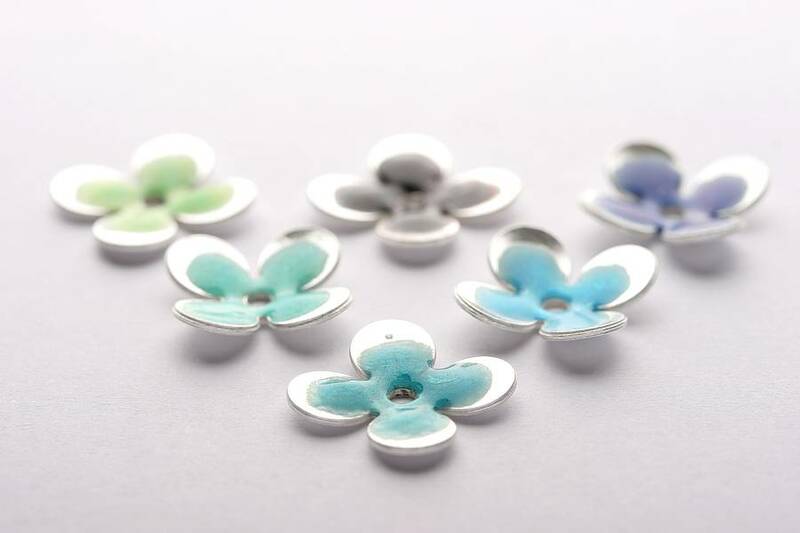 It is further enhanced with semi precious beads. 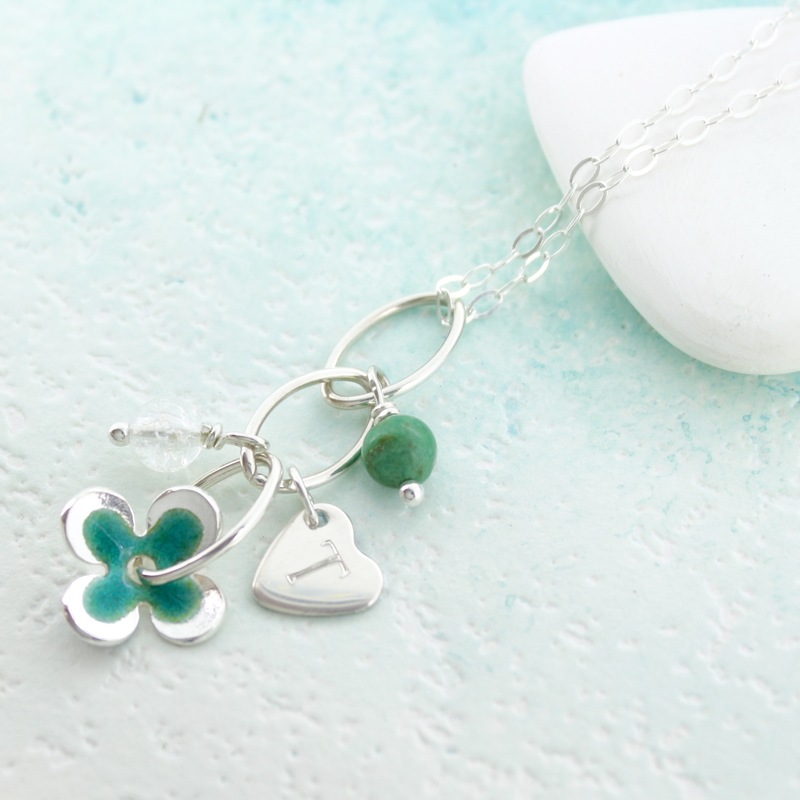 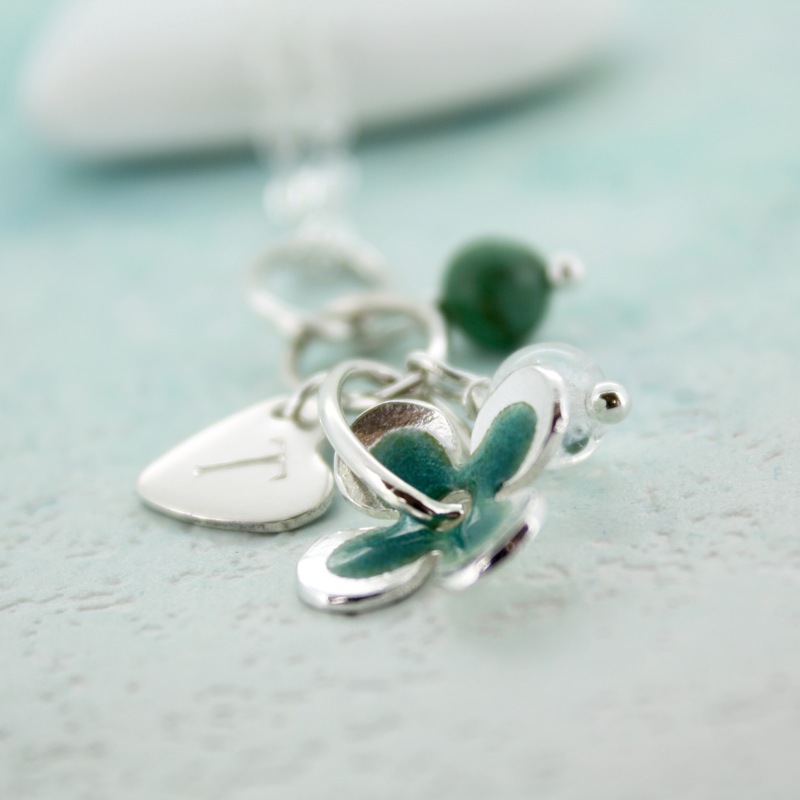 The little silver flower has been enamelled in a kiln and the silver heart has been engraved with an initial of your choice. 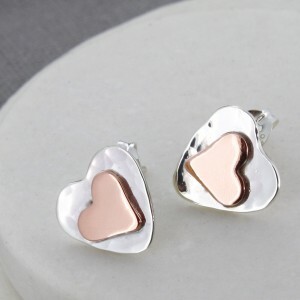 You can, if you wish also add an extra initialled heart. 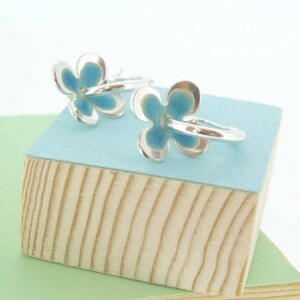 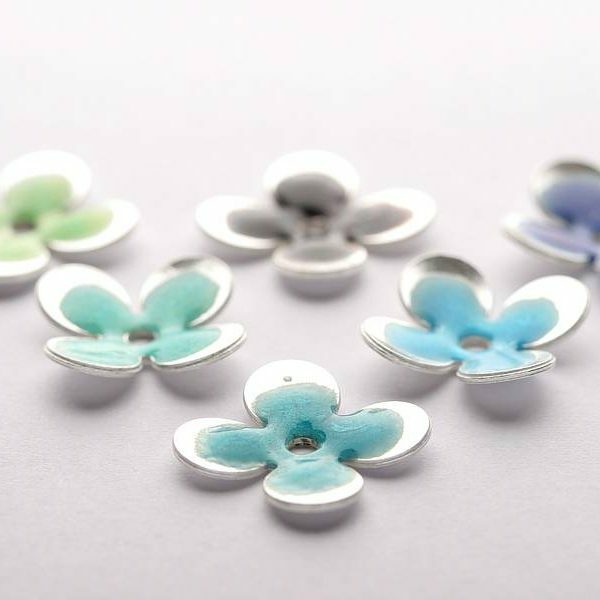 The flower is available in a choice of gorgeous colours – pale blue, purple, turquoise, teal and sea green. 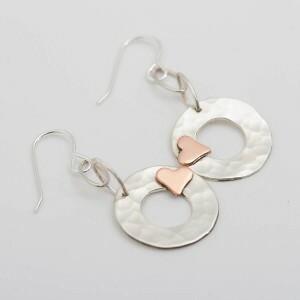 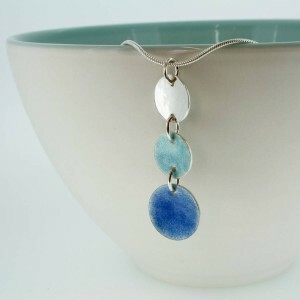 Sterling silver, enamel and semi-precious beads.